Experience the comfortable isolation of the picturesque Yarrangobilly Valley in your own modern eco-cottage, tucked away in bushland. This self-contained cottage with two bedrooms can sleep up to four people. 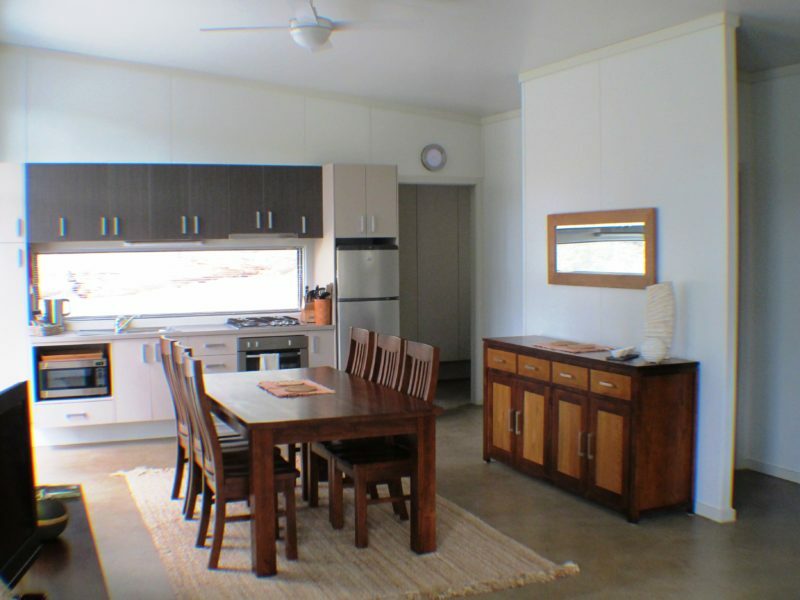 The kitchen is fully equipped and there is a lovely deck with outdoor barbecue. 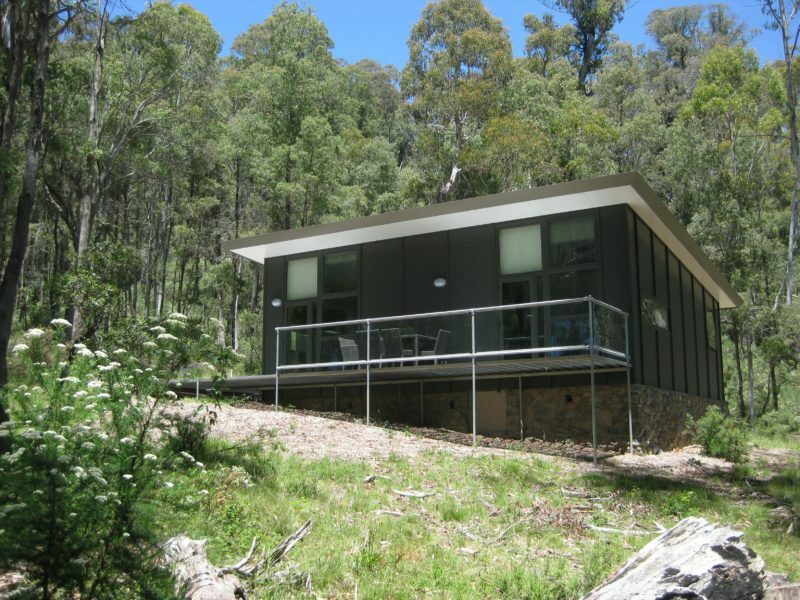 Lyrebird Cottage offers all the creature comforts of home without the distractions. Visit the National Parks website for further information and to book. 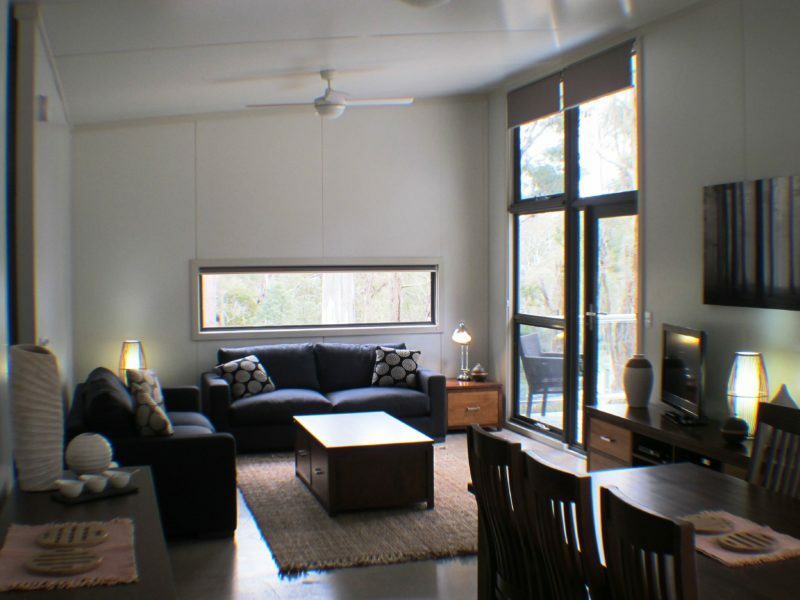 Lyrebird Cottage is a superb fully self-contained cottage, nestled amongst the trees. It consists of: two bedrooms (two king beds or convert to four single beds), one bathroom with shower and separate toilet, laundry facilities, balcony with a four burner barbecue and outdoor furniture, a combined lounge/dining room and fully equipped kitchen. There is an additional 2.5% bookings charge.